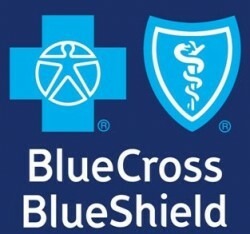 Blue Cross and Blue Shield of Illinois (BCBSIL) launched a statewide education and outreach initiative targeting Illinois’ uninsured residents. The Be Covered Illinois campaign, which will be funded by BCBSIL and supported by various community and civic groups, will focus on helping the state’s uninsured population understand how the new health care law impacts them and what steps they need to take to gain access to individual health insurance. The enrollment period for uninsured Illinoisans opens in October, with health care plans beginning in January, 2014. The Be Covered Illinois campaign will work with established community groups, civic organizations, schools, religious institutions and doctors to offer educational materials and guidance in both English and Spanish to help Illinoisans navigate the changes ahead. The Illinois Maternal and Child Health Coalition and Health and Disability Advocates are two community groups that agreed early on to partner on the Be Covered educational outreach effort which complements the work they are already doing. Resources being made available in the Be Covered campaign include literature and a website, www.BeCoveredIllinois.org which will have information about insurance coverage, benefit plan options, and requirements of the new Federal health care law. Both community-based organizations also partnered with other non-profit leaders to launch illinoishealthmatters.org, another resource available to educate the public. For more information, visit www.BeCoveredIllinois.org. To receive alerts from the Be Covered Illinois campaign, interested consumers can text 33633 with the word JOINIL for English updates or UNIRIL for Spanish updates.